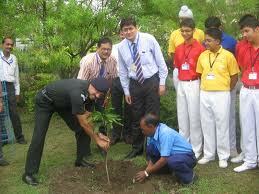 Van Mohotsav Day(Forest Day) is Coming to 21 March 2013. This Day known as a Forest Day.All World Celebrate this Festival. 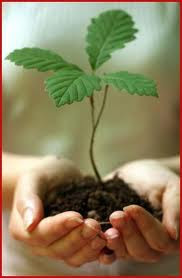 Van Mahotsav is an annual tree-planting festival in India, celebrated on 5 June and even in the first week of July. During this event millions of trees are planted. Van Mahotsav was launched in the year 1950 by Shri Kanhaiyalal. M. Munshi, the then Union Minister for Agriculture and Food to create an enthusiasm in the popular mind for the preservation of forest and planting of trees, as “trees mean water, water means bread and bread is life”. It was also hoped that it would create tree consciousness among the people. Forestry Day has been celebrated around the world to ring a bell among the society about the importance of forests and the scores of benefits which are gained from them. The concept of celebrating a day every year as World Forestry Day originated at the 23rd General Assembly of the European Confederation of Agriculture in 1971. A forest just doesn’t mean trees only but it’s an entire complex, living community.Many interdependent populations of plants and animals too dwell beneath the forest canopy; the forest soil is a home to large variety of invertebrates, bacteria andfungi which play an essential role in cycling nutrients in the soil and the forest. The reckless felling of trees is creating many problems in the surroundings so the need of the hour says that everybody should ponder seriously over it.Everybody should actively involve themselves in prevention and creation of new forests. According to rules of Forest Deptt, 10 trees should be planted in place of cutting of one tree. Though in last two decades only 1% trees are planted. The survival of the rich generation of flora and fauna in the country is in danger due to exploitation of forests, cutting of forests in Hilly areas is loosening the soil, thus the upper layer of fertile earth is eroding which is resulting in uncontrolled rain and flood. India economy largely depends on agriculture.Erosion is seriously effecting the agricultural production. Van Mahotsava is celebrated throughout the country in the first week (1st to 7th) of July every year. Everyyear lakhs of saplings of different tree species are planted with active involvement of governmentagencies like the Forest department. The first ever national awakening to the necessity of planting treesand attempts at tree rehabilitation on a national scale, came in July 1947, with a successful treeplantation drive in Delhi. This was the first tree plantation festival of India in which national leaders likeJawaharlal Nehru, Dr. Rajendra Prasad and Abdul Kalam Azad participated along with many others. Themain objective of celebrating tree plantation week was to focus people's attention on the nationalimportance of planting trees and to make them tree-conscious. This objective was fulfilled to great extentby the first plantation drive. There was a scramble for seedlings at the nurseries and in many states theweek was celebrated in a well organized manner. In the early 50's this movement was renamed by late Shri K. M. Munshi, noted educationist and naturelover, during his tenure as the Governor of Uttar Pradesh. Massive tree plantation drives were conductedwith active involvement of the local population. People should definitely know the importance of trees intheir lives and the observance of the festival should not become a mere ritual. The festival is not confinedto cities and towns alone, it has seeped into the villages too, bringing home to the villagers the idea thattrees mean better crops, better living conditions, better cattle and a more beautiful village. The Van Mohotsava is not like the other religious festivals, lasting for a day or two and thereafter developing into token rituals devoid of any meaning. It is a symbol of unending movement towards agreener India! The area selected should be relatively free from vandalism. As far as possible, the trees of Indian Forests should be propagated and planted. Trees likeEucalyptus,Australian Acacia, Lantana, Lucena, Mast tree (False Ashoka) should be avoided. Tree guards should be provided for roadside plantations. Saplings should be watered regularly during times of a dry spell. Well-drained deep sandy loams are best suited for plant growth. Soil or plantation area should be free of construction waste, debris etc. 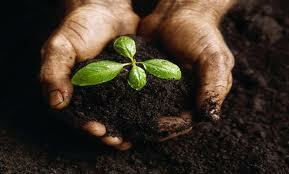 An occasional dose of organic manure like cow-dung or vegetable litter will result in good sturdy plants. 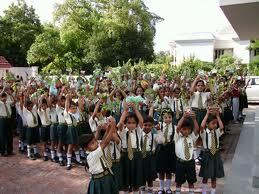 scheme, where the responsibility of growingthe plant lies with the student. This will be a learning experience for the student as well.